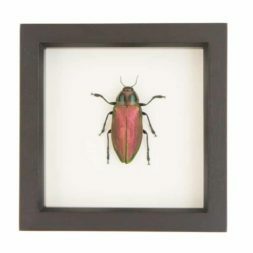 One in every four animals on this earth is a beetle. 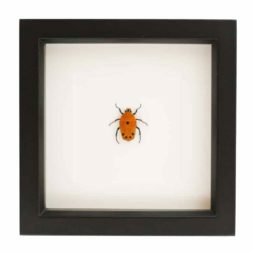 With over 400,000 known species, the beetles rule the animal kingdom with their diversity of colors, behaviors and patterns. 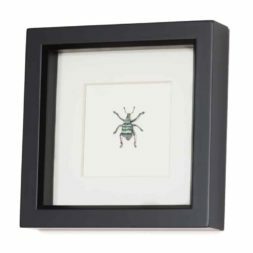 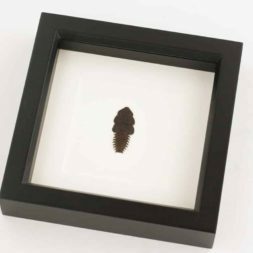 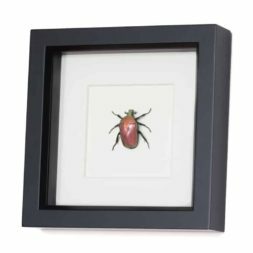 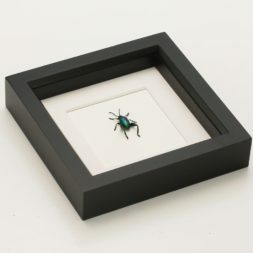 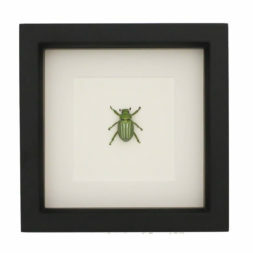 This collection of framed beetles features some of the kings of the Coleoptera order which includes one of the strongest animals in the world, the beautiful Jewel Beetles and the most diverse animal genus, the weevils. All of these beetles have their own story to share. 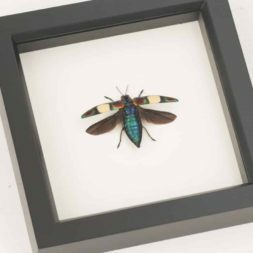 – Natural history story on a vintage style museum label. 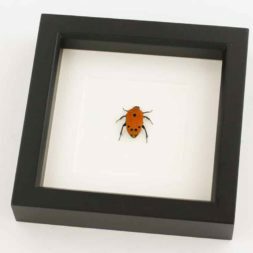 – Professionally handmade by an entomologist in Northern California, USA. 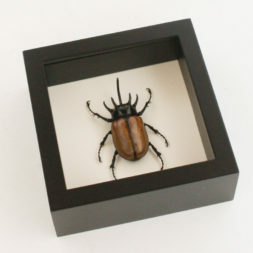 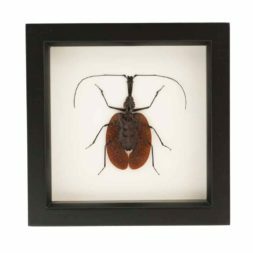 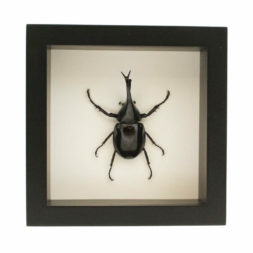 WE ARE THE HIGHEST RATED FRAMED INSECT SELLER ON THE INTERNET WITH OVER 5,000 5-STAR REVIEWS. 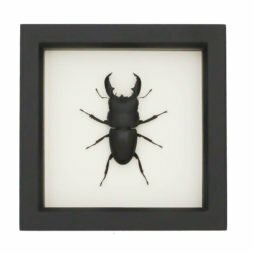 One of the strongest animals in the world pound for pound. 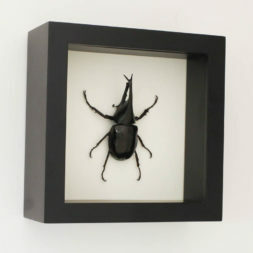 It can lift over 800 times its own weight. Scarab Dung beetles are famous for rolling balls of dung along the ground and depositing them underground with their eggs inside. 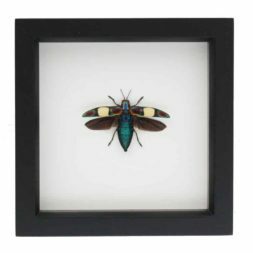 Their lifecycle made them sacred to Egyptians. 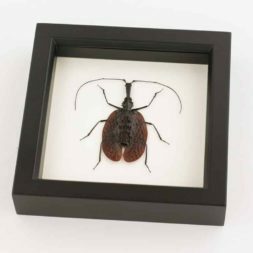 Size matters with this species (Cyclommatus metallifer), especially when measuring its mandibles, which have one of the highest mandible to body size ratios in the beetle kingdom. 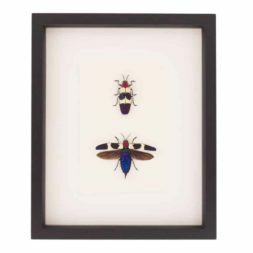 A pair of speckled jewel beetles with wings open and closed. 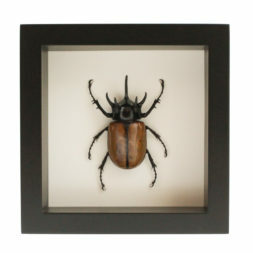 The beetles strong hind legs are used in male-to-male combat and defense. 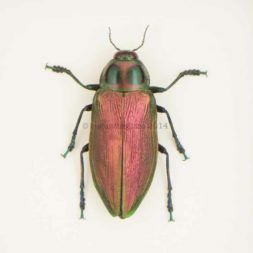 The outer wings of this beetle have been used as jewelry for 100's of years. 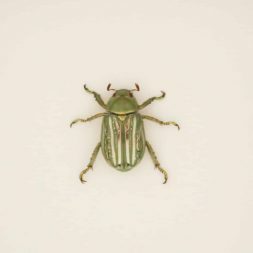 The Torynorrhina flammea fruit chafer has been known to drink the juice of fermented fruit, which can produce an intoxicating effect.